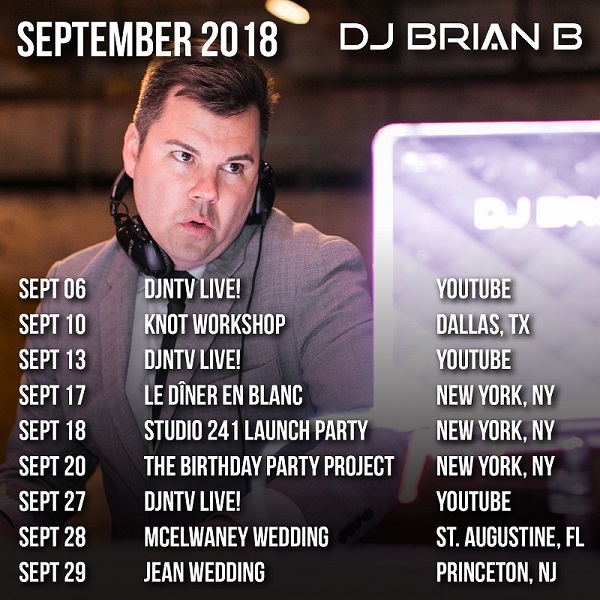 Home / Posts tagged "DJ Brian B"
Some fantastic events on tap in the September 2018 DJ Brian B Schedule as we head into the Fall. I start with the Knot Pro Workshop in Dallas, TX at the Four Seasons Resort and Club Dallas at Las Colinas. The event is being planned by Jacqueline Events. Then it’s time to prep for 6,000 New Yorkers who will be partying at the infamous Le Dîner en Blanc – New York event. If you aren’t familiar with this, you need to be. It’s one of the most unique events I’ve ever been a part of. Following that is the Studio 241 Launch Party at the Norwood Club. The monthly “Birthday Party Project” is on September 20th. I finish the month with 2 weddings – one at the White Room in St. Augustine, FL and the very next night I’ll be at the Nassau Inn in Princeton, NJ. During Italy Engage! 17, the music heard as attendees walked in to the main sessions, between speakers and in route to the breaks was intentionally curated and mixed live in the room by yours truly. I took the location, the season/time of year and the speaker’s presentation topics all into consideration as I came up with the summit’s soundtrack. I’ve posted it all on Spotify for your listening pleasure. Click here to be transported to Venice, Italy. Enjoy! 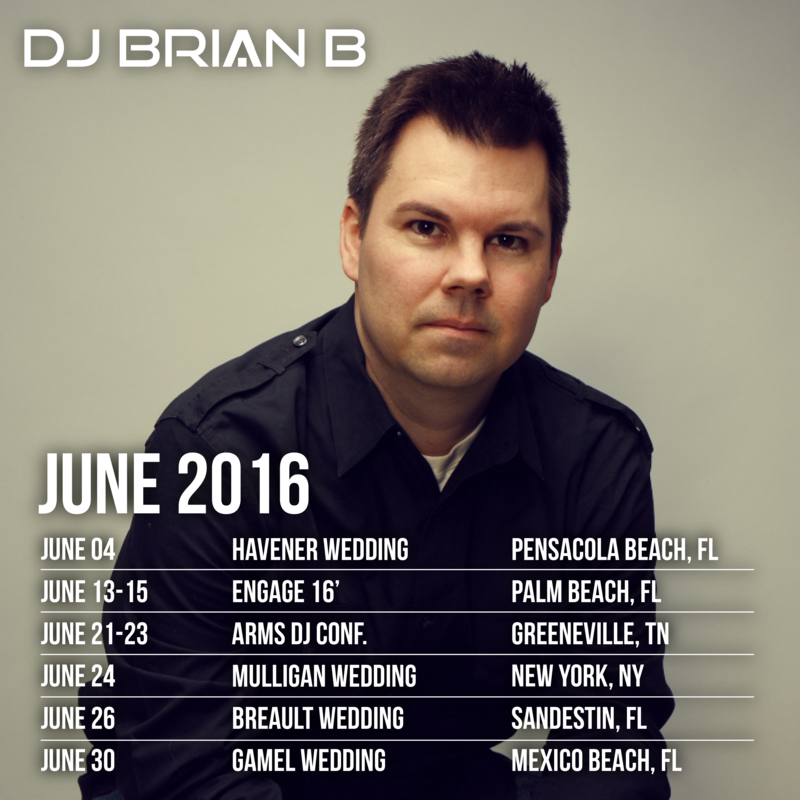 The DJ Brian B June 2016 schedule is officially inked. In between some fantastic weddings, I typically use the summer months to network and refocus for the 2nd half of the way. Going the Engage Conference is always a highlight of my year (I’m a 2 baller this year!). This is the best of the best in the wedding industry and not only do I get to reconnect with some fantastic industry folks, but I know I’ll have some fantastic takeaways. This will be my first time to the Arms DJ Conference. I’m looking forward to this mid-america conference. Hope to see you on a stop soon! The DJ Brian B Winter Mix 2016 is officially live! I took a much different approach to this mix as far as the track selection. I went with more of a “listening” type vibe. Don’t get me wrong, it’ll still rock a house party but I wanted to include some tracks that were more laid back and I ended up the mix the way it starts ~ with a little slower of a tempo than with a club banger. Lots of mashups, remixes and the signature DJ Brian B Official mix style you’ve come to expect from me with 22 tracks packed into 36 minutes! Let me know what what you think and feel free to share. Much love and thanks for the support! 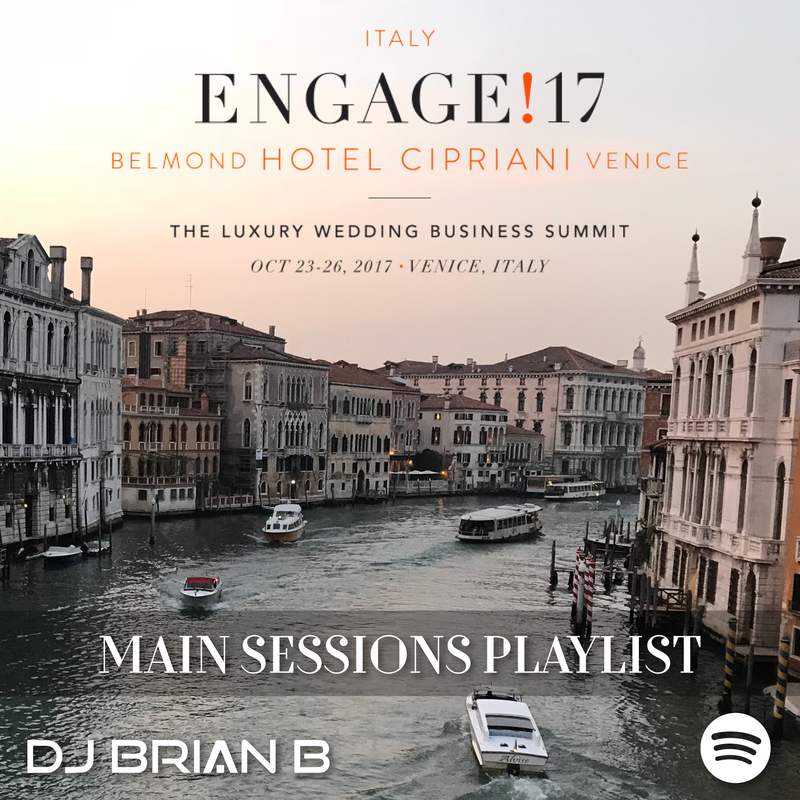 New York, NY – DJ Brian B, one the most requested private event DJs nationwide, has announced the launch of his new website, www.djbrianbofficial.com. What a great start to this week…two more events confirmed for me in 2014. *Billy Domenech and Amber Ferguson are having their reception at the Sandestin Golf & Beach Resort in Destin, FL on April 4, 2014. *David Goble and Peggy Geppert are tying the knot in Watersound, FL on October 25, 2014. Thanks for letting me share in your day. We’ll have a blast together. Hope your friends and family are ready to have a great party! Just added 2 more awesome clients to my event list for 2014! So excited to share the day with them. *Zachary Schmidt & Mary-Kate Figur who are getting married July 16, 2014 at Surfrider Beach Club in Sea Bright, NJ. *Eric Brown and Stephanie Swenson who are getting married a month later, August 16, 2014 at El Niguel Country Club in Laguna Niguel, CA. The Travel DJ Blend Podcast Goes LIVE! © DJ Brian B All Rights Reserved. | Website design by UBU Enterprises.